How to hire good, qualified, people is a skill that, in education especially, makes all the difference. In a discussion with Glenn Jones, founder of Jones International University, shortly before he died, Jones admitted that he didn’t hire good people to staff his Internet university. Jones, a billionaire cable industry magnate, was at heart an educator and invested close to two hundred million dollars of his own money in an attempt to crack the higher education marketplace with his own Internet university. I attempted the same with my own solely-Internet university and had to admit to Glenn that I had the same problem. Funny thing is that just last week I had a discussion with another President of an education company and he admitted the same failure. Well, here’s why we fail. Whether we’re businessmen or in the case of my friend, an education entrepreneur, we assume too much. Hiring is just step one; educating those we hire is step two, and that takes time. In doing that, I came to the conclusion that in order to find people to staff the office, I needed to operate from an office near a conservative college. In Colorado where we were domiciled from 2004 to 2012, there was only Colorado Christian University. But, though well-intentioned, CCU was not Hillsdale, nor one of the other institutions we call “conservative.” CCU’s new President, former U.S. 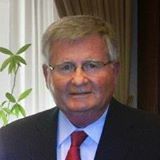 Senator Bill Armstrong, was a political conservative, but not an academic He died from the complications of cancer before he could shape CCU into a conservative mold. In the case of my venture, Yorktown University, I needed conservatives from my secretary who answers the phones on up to the marketing person, course designer, and others on staff who were as well-versed in my mission as I myself and my instructors. If you can find such people, you must train them. I know, there are lots of other tasks that have to be done, but you must spend days and months working with those you hire in order to master everything they need to know, including all the ins and outs of the regulatory environment, e-mail and direct mail marketing practices, graphic design, Facebook and Google “Ad word” advertising, donor solicitation, and even how to use office software programs. If you also have to teach them what your mission is, you’re going to fail. Glenn Jones was successful in the cable business, but he was “bested’ by the difficulties of higher education–and I was too. If you’d like to learn more, read my new book that is a history of Yorktown University. ← Shame on Skadden Arps!